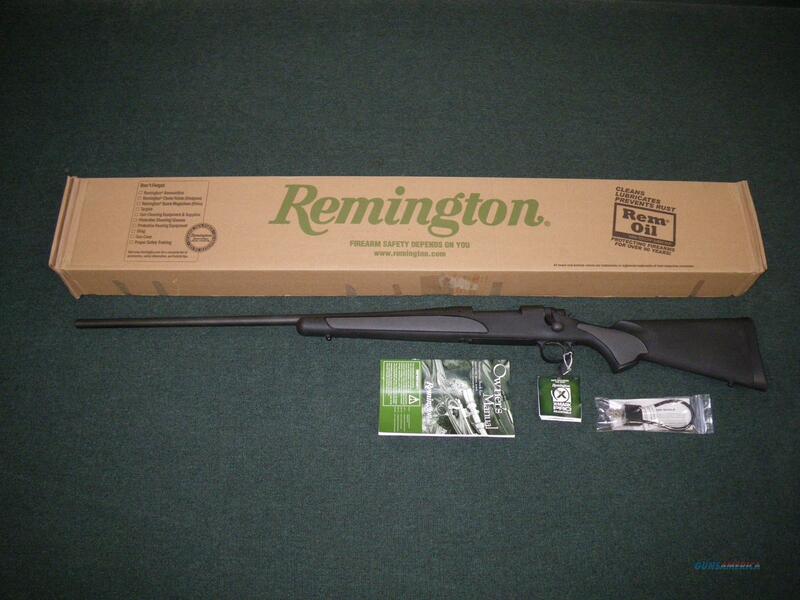 Description: You are bidding on a new Remington Model 700 SPS Left Hand in 270 Winchester with a 24" barrel. There is a cost that comes with high performance, in this case, it’s a lot less than you think. The Model 700 SPS (Special Purpose Synthetic) offers everything you love about the legendary Model 700, all at an extremely affordable price. The Model 700 SPS is leading the way for the next generation of hard-hitting, fully-featured, affordably-priced rifles. From the rock-solid receiver design to the famous “three rings of steel,” the Model 700 SPS offers the unrivaled out-of-the-box accuracy and high-end performance you've come to expect from America’s most popular bolt-action centerfire rifle. Features include an improved, ergonomically designed synthetic stock, carbon steel barrels and receivers drilled and tapped for scope mounts. All exterior metalwork features a matte blued finish. Displayed images are stock photos. Any questions please feel free to ask (our phone number is in the additional information tab above).